I say that from experience, because I've been all versions of stress management as an entrepreneur. I've poorly handled my stress and especially after the diagnosis of my hand tremor, I've learned how crucial it is to manage this stress wisely. But where does this stress come from? Well, Benjamin Dell, founder and CEO at Missinglettr.com (a social marketing automation company that automatically creates 12 months worth of social content for each blog post you publish) is here with us today to chat briefly about just that. Part of that stress comes from sustaining high levels of defiant expectation for seemingly impossible things. Since this month's theme in The School of Bravery and on our podcast Defiant Expectation, I'm so pumped to discuss this subject with someone who so blatantly possesses it. Ben previously owned a web agency in the UK for over 10 years. During this time he also launched a number of SaaS tech startups (two of which were acquired). It's clear to me, especially from our conversation with him today, that Benjamin is passionate about empowering businesses and brands with tools that help them succeed. Defiant expectation is one of those tools, so without further ado, I give you Benjamin Dell! 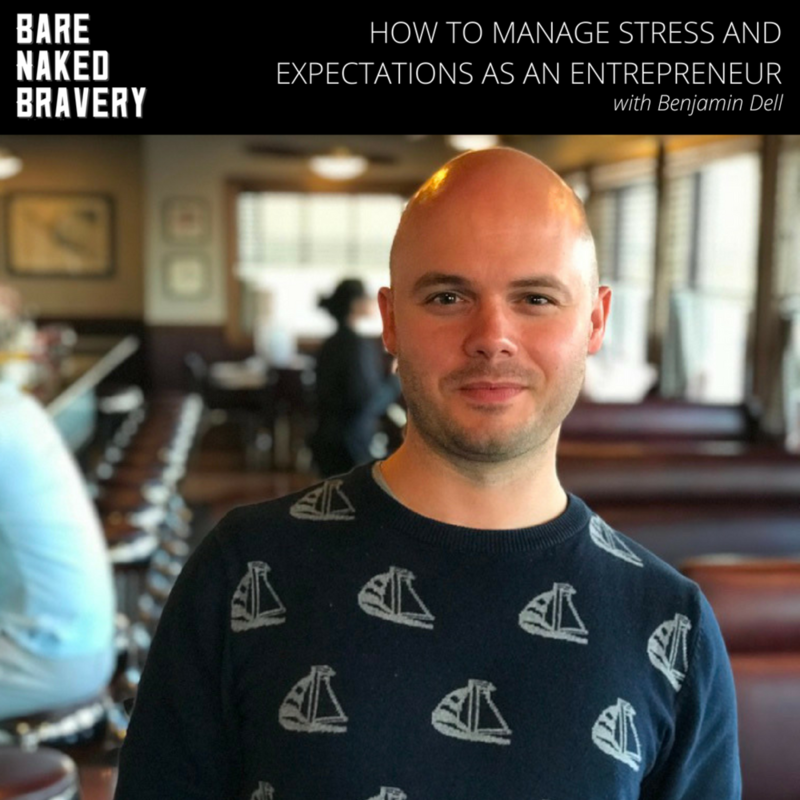 Beyond your free Bravery Bundle (which is always available at barenakedbravery.com) your Brave Take-Away from today's show is to pop into the Bare Naked Bravery facebook community to share the latest time you executed your defiant expectation skills. How have you managed your stress? How are your coping with the sustainability of living as a creative misfit? We'd love to hear all about your favorite parts of today's Bare Naked Bravery. You can find Benjamin Dell and myself on facebook, twitter, instagram, and more. Go ahead and tag us so we can cheer you on and see what you're up to.